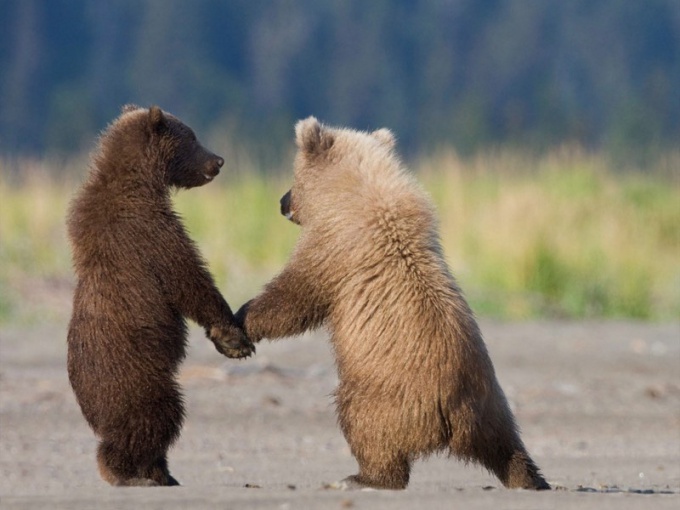 Brown and white (polar) – the world's species of bears. They are representatives of the same genus, so very similar to each other. Along with this, they certainly have a lot of differences besides the color of the skins, they differ from each other in size and weight. The brown bear once lived almost all over the world – from Europe to North-West Africa, from Mexico to China. However, at the moment this beast is almost extinct throughout former range. The most extensive area of habitation in Russia – he resides in all woodlands. There are several subspecies of brown bears. The largest members of the species live in Alaska and Kamchatka. The weight of these individuals is 500 kg or more. European brown bears are a little more modest – 300-400 kg. Despite the fact that in General ordinary brown bear less white, it is the largest specimen, male, caught on Kodiak island, weighed 1334 kg, i.e., was much more largest specimens of the polar bear. 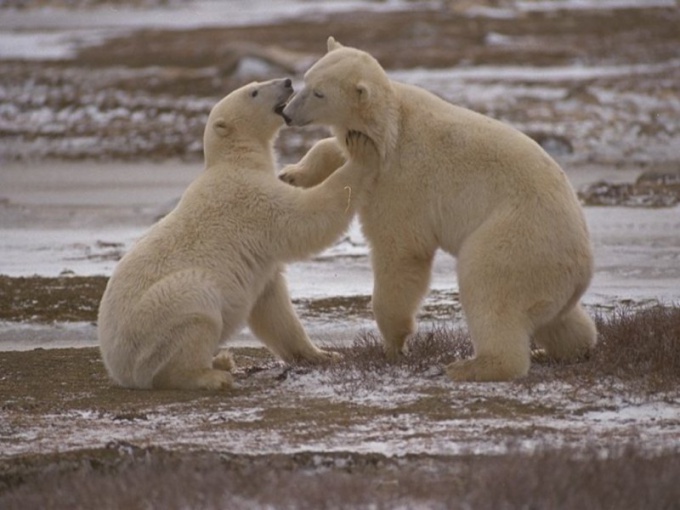 White and brown bears seem very different, but they have more in common than you can imagine. For a long time it was thought that the polar bear as a species split from brown. However, more recent data suggests that brown and white animal was the common ancestor, and about 600 thousand years ago, both species were separated from him. A little later came the hybrid of these two types, which in General is the modern polar bear. Interestingly, the skin of polar bears is completely black. His white fur is almost transparent hair that transmits ultraviolet radiation and warming the body. The color of a bear can vary from pure white to yellowish. The polar bear is larger and accordingly heavier brown. This is due to the area of his residence. To survive in such harsh conditions, bears have huge amounts to store nutrients. Polar bears are among the largest of the land predators. Males usually weigh from 400 to 450 kg, and the length of their body ranges from 200 to 250 cm, the Females are almost half – 200-300 kg. by the Way, about 12,000 years ago became extinct Mongolian bear. It was the largest bear that ever lived on the planet - his height and weight 2 times higher than polar bears. In subtropical and tropical forests of India, Indonesia, Thailand and Burma lives the smallest on earth the bear – Malay biruang. The height of the body at the withers not more than 70 cm. 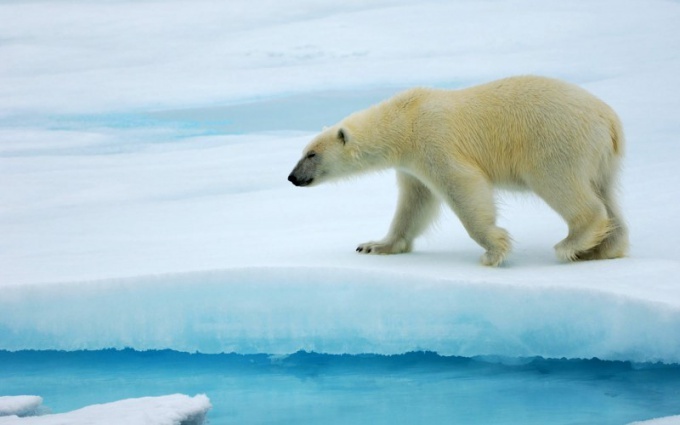 Besides weight and size, the polar bear differs from the brown structure. He's got a long neck and flat head.